Here is your 2013 spectators guide for who is competing in today's Track & Field WCAL Championship hosted at St. Francis High School. 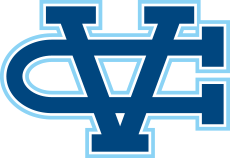 The Warriors will also compete in the 4 x 100 and 4 x 400 relays; In total 44 Valley Christian athletes have qualified to compete in this years Championship! The meet is scheduled to begin at 5:00 pm. Shelby Smallwood ran her personal best of 12.02 at the 2011state meet and is one of the best in Valley Christian history at #3 all time for the Warriors. She won her qualifying heat in WCAL Trials with a time of 12.54 and is one of the favorites going into the finals. She ran her season best of 12.46 against Presentation in the last WCAL dual meet of the season. Mary Ellen Bradley has quietly caught fire in the later part of the season running a personal best 12.71 in the WCAL Trials. Her time ranks her 7th all-time for the Warrior. Sonjali Padalkar has been stellar this season and is a top sprinter for the Warriors at the Junior Varsity level. The freshman ran her personal best of 13.33 against Presentation and is ranked #2 heading into the Finals. #5 all-time for the Warriors with a personal best 25.17. Mary Ellen Bradley qualified for the 200 meter final after running her second personal best on the day finishing in 26.72. Her time currently ranks her #10 all-time for the Warriors at 200 meters. Akil Jones has been a top sprinter for the Warriors since the start of the season. His best event might just might be the 200 meters where he enters the race with a personal best 23.06. He enters the race seeded #3. Nicole Favre has been consistent all season and ran an impressive personal best to reach the finals. The freshman is ranked 5th in the WCAL at the Junior Varsity division. Akil Jones ran a personal best in the trials running 53.6 to qualify for the finals. Running a 52 split in the 4 x 400 the week before Jones is one of the favorites in the open 400. Karen Mac is on the comeback trail. Last season she suffered a knee injury that resurfaced knocking her out of cross country and the early part of the track season. After finishing 2nd last season she is looking to improve on her season best 2:37 she ran at the trials. Jason Li had an impressive day at the trials qualifying in the 800 meters after running a 4:45.55 personal best in the 1600 meter final earlier in the day. His best at 800 meters is 2:05.03 which he ran at the CCS Top 8 Invitational. Jessica Xu has had a breakthrough season and has twice knocked on the door of sub 5:20 this season. Xu enters the race ranked 4th in WCAL. Amy Reyes enters the race with a personal best of 5:53. This season Reyes ran her personal best against Mitty where she finished in 6:02. Alex Ascencio has had a huge senior year improving nearly 20 seconds from his times a year ago. Ascencio enters with a personal best 4:46.65 which he ran against Saint Ignatius in an impressive run leading from the start. Ascencio enters the race seeded 10th. Ryan Ensor has been a top cross country runner for the Warriors the past three years. Running 5:25 to kick off the season the school record holder in the steeplechase decided to go back to his roots and was a top hurdler for the Warriors finishing 9th in the WCAL in the 300 hurdles. He steps back into the 1600 to see how much he has improved. Kailey Eddy is on the hunt of the CCS auto qualifier in a race she is going to have to gable with the pace. The freshman enters with a personal best 11:48.75. Jessica Xu is scheduled to double back for the 3200 meter run. Entering the race with a personal best 12:04.36 which she ran to start the season anything is possible for this young lady and has to be considered a contender. Kellianne Connolly suffered through 90 degree temperatures in her last 3200 10 days ago but now the Senior is determined to get revenge on the distance and set her mark. Eyobed Mesfun has had a record breaking season. After running 4:38 in the 1600 the senior went on to run a personal best 2:04 in the WCAL Trials at 800 meters. He set the school record in the 3200 meters and was undefeated in WCAL dual meet competitions. He enters the 3200 meter race seeded 11th in one of the deepest fields in recent memory. Alex Ascencio is doubling backing and looking to end his high school career with a personal best in the 3200 meters. Nathan Lynch hit a huge personal best in the 1600 on Wednesday and looks to do so again Friday night. After only running a few weeks the sophomore hit 11:22.35 at the Bellarmine meet and now sets his sights on a Sub 11. Jeremy Dong had a breakthrough 4:55.42 to win his heat in the 1600 final on Wednesday and looks to carry that momentum into the 3200. He brings with him a personal best of 11:47.85. Sam Han has had a fantastic first track season and looks to improve upon his 11:50.34 personal best. Peter Enfantino ran his personal best 11:53.89 in the 3200 meters over a month ago. Since then he has taken over 20 seconds off his 1600 time and is looking for a big jump in tonight's race. Dean DeMoss took a chunk of time off his 800 personal best in the trials and now takes aim at the 3200. He enters the meet with a personal best 12:41.67 in what his first try at the event. Ben Staub is the school record holder running a personal best 9.66 in the WCAL Trials where he is seeded #2. Leighton James ran a personal best 9.95 at the WCAL Trials and held the school record for about 5 minutes before it was reclaimed by Ben Staub. The rivalry between the top 2 hurdlers in recent memory is something special to watch. James enters the WCAL finals seeded 4th. Ben Staub qualified in both hurdle races winning his heat in the 300 hurdles with a personal best time of 44.22. Rebekah Bruckner enters the race with a personal best 52.01 and qualified for the finals with a mark of 53.40. Taylor Johnson was on fire at the WCAL Trials Tuesday. The freshman hit a huge personal best in the long jump qualifying for the long jump final with a mark of 16' 2". She followed that up with an impressive personal best in the triple jump and a blazing 200 meter time of 26.79 that places her 8th in the Varsity Girls division. Lydia Sum ventured out from her usual events and found herself hitting the CCS Auto qualifier in a personal best 16' 10". She has proven to be a top all-around athlete and a huge contributor to the Warriors squad. She enters the meet seeded 6th. Elaine Ma has been consistent in the field events all year improving her long jump personal record this season to 16' 3". Her marks ranks her #3 all-time for the Warriors. Emily King came out of no where. In her first try at the long jump the first year track athlete debuted in the 14 foot range. The next week she was at 15' 5" and on the Warriors all-time list. A top contender the Junior Varsity long jump the sophomore comes into the meet seeded 8th. Lydia Sum set the freshman school record at 34-10.75 last year and has continued to progress this season developing into one of the top athletes in the section. The sophomore set the school record and is the top qualifier in the triple jump with a mark of 36' 8.5". Robriana Johnsonhit her best jump this season at the WCAL Trials with a mark of 35' 5" in the incredibly deep field that saw 7 athletes meet the CCS Auto-qualifying mark at the WCAL Trials. Sydney Clark has been a top Junior Varsity jumper for the Warriors all season. The freshman enters with a personal best 29' 11" that she hit at the WCAL Trials. 5-0 is #2 all-time for the Warriors and enters the finals ranked #3 in WCAL. Elaine Ma enters with a personal best 4' 10" and is seeded #7 in WCAL. Ma is currently #4 all-time for the Warriors. Ronna Stone smashed the JV Girls WCAL Record last season in the shotput with a mark of 35-11. She has added on a couple feet to that toss this season with a personal best 37' 1" from the CCS Top 8 meet. Her mark solidifies her at #3 all time for the Warriors and ranks her 3rd in the WCAL. She is also ranked 6th in CCS and the top underclassman on the list. Elena Bruckner has a personal best 35' 8.5" and is giving chase to Stone's freshman record. Bruckner has been a fierce competitor all season for the Warriors and has finished atop of prestigious invitationals such as the CCS Top 8 meet. She is currently ranked 4th in the WCAL and 9th in the CCS. Kristin Uda came up big when she needed it the most. The Senior hit a huge personal best to qualify for the final and enter the meet seeded #6 in the Varsity Girls Shot Put. Uda also finished 9th in the Discus, just shy of a personal best. Teanni Roberts is a favorite in the Junior Varsity Shot Put after a toss of 29' 10" in the WCAL Trials. The freshman enters with a personal best 31' 4". Teanni Roberts will also compete in the Discus where her personal best mark of 86' 6" ranks her 3rd.